Can I start a flow from a Hotspot or Tooltip? You have a new feature and you'd like to announce it in-app, but you don't want to be too intrusive. You decide to add a hotspot on your page that gives a little information about your new feature. You also want to ask the user if they'd like to see a tour to learn more. This way, you're not being too intrusive and you're allowing the user to opt-in to the tour. Since neither our Tooltips nor Hotspot patterns support the button functionality like modals and slideouts do, you can use this slick workaround and add an image of a button instead! 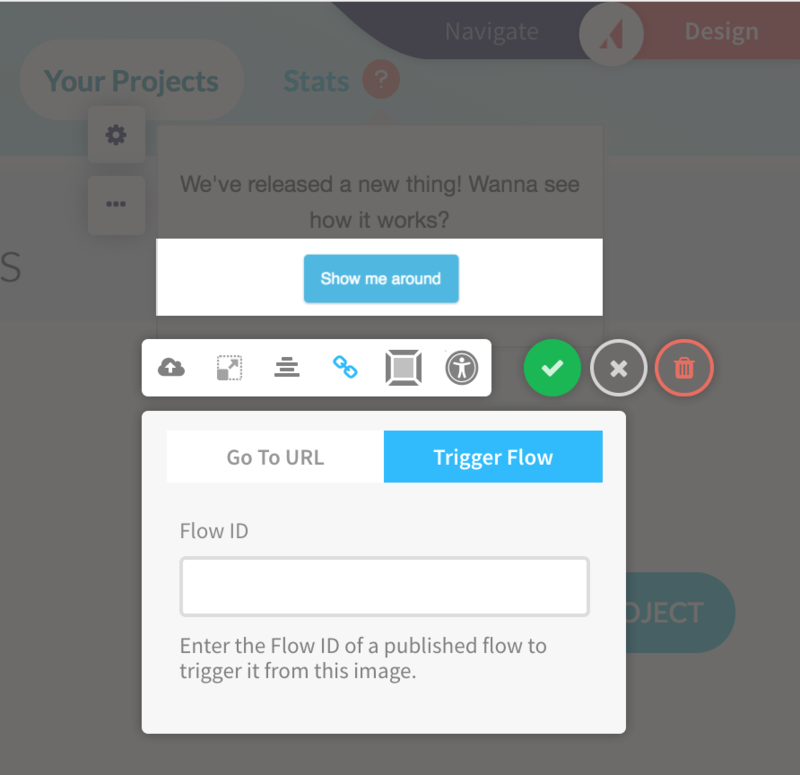 After you have the image uploaded you'll use the image options to trigger your flow using the flow ID. Learn more about linking directly to flows using the flow ID with this doc. ProTip: Use cmd + ctrl + shift + 4 to grab a screenshot of a button from your product or another one of your flows! You can use a variation of our 'Show hints' button to launch a flow (without a page reload) within a tooltip or a hotspot. You can change the text of this button by editing it directly in the code. You can also add any custom CSS for the button design here.